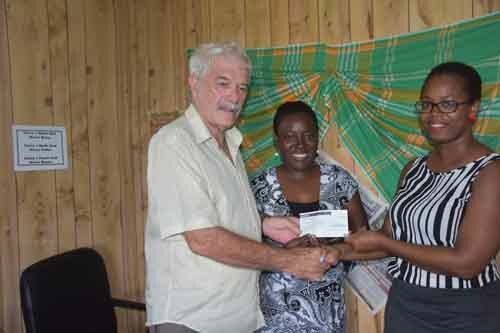 The Montserrat branch of the British Red Cross became proud recipient of a donation from former Governor Adrian Davis which he raised from a presentation to Lochinvar House School in London. 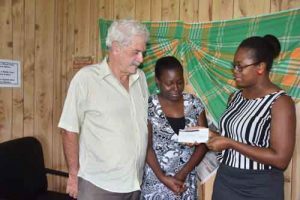 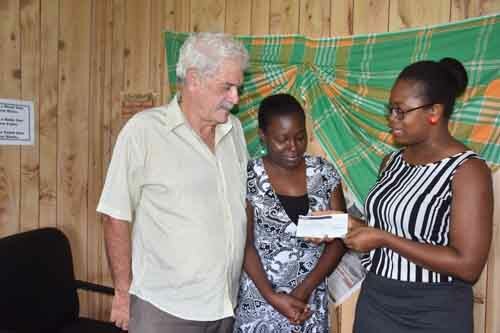 She said the Governor had asked her “to hand over the check to you now.” Receiving on behalf of the Red Cross branch were Richard Aspin, executive director and Miss Milykhia McKenzie, treasurer. 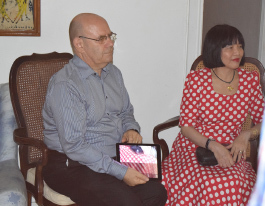 “Thank you very much,” Aspin a former press officer for many Governors since the late 90s, said to Annesta. “We’d like to thank you Annesta for delivering the check for us and also of course thank the principal, staff and students of the Lochinver School in London, and especially Adrian and wife, Sujue Davis.